The Tattoo range of pressed plate boats, produced by a long-established Australian builder, has not a single rivet between them. All boats over 4.3 metres are in 3mm plate, completely welded inside and out. They are all bulky boats, effectively big for their size. Generally, they are not heavy on frills, but all the important features are there. Where there is a motor well it is carried full height; runabouts have opening screens and recessed dashes; rails are heavy duty and in the right places. The Tattoo on review is the 515 Navigator. 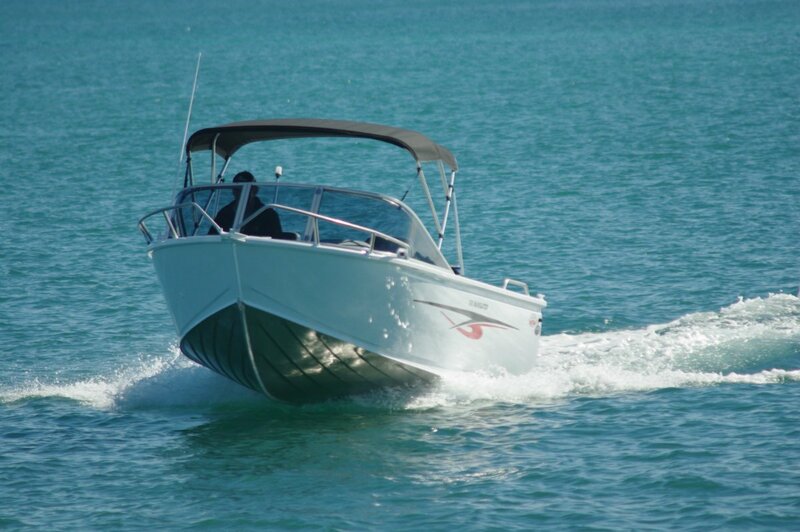 This is a straightforward runabout, the sort of boat that has sold in tens of thousands across Australia ever since aluminium took over from bondwood. It has moved with the times and features a recessed fibreglass dash, the curved moulding making soft contact with anyone leaning through the opened windscreen to reach anchor well and bowsprit. 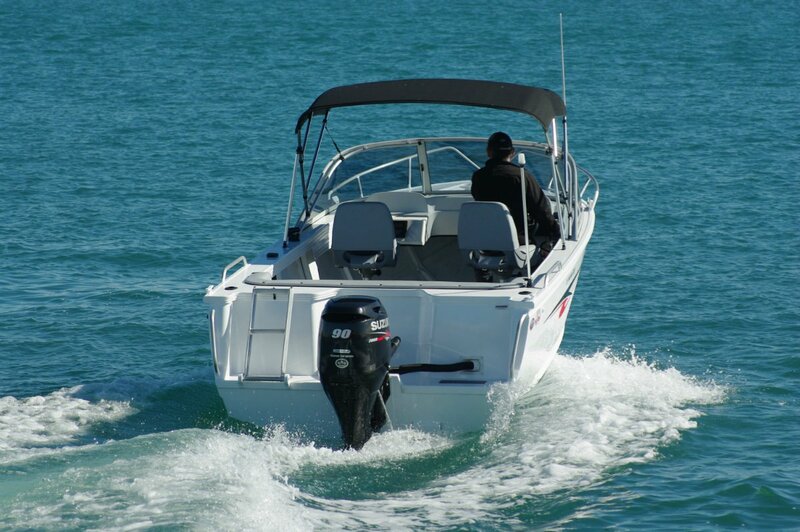 The most striking feature of the 515 is the interior volume – vast for a boat 5.2 metres overall length. Local builders realised long ago that Australians prefer room to move over a boat full of built-ins. The builder’s plate says this is a five person boat, and there are seats for that many, but with a lot of deck left over. The two forward seats are unusually comfortable swivels mounted on pedestals; their occupants’ feet rest flat on the lowered deck beneath the foredeck. The rear seat is clever but simple, an upholstered box locker that hinges forward to expose the battery and engine ancillaries that live behind it. The coaming curves from the sides into the transom, and is padded to form seat back and sides. It sounds basic but is one of the most relaxing boat lounges I have used. 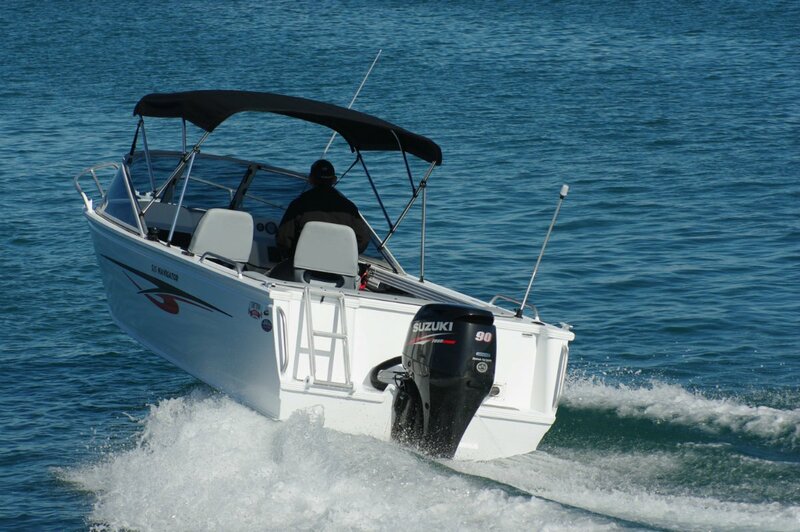 The driving position is sheltered by an extensive Bimini that readily folds. 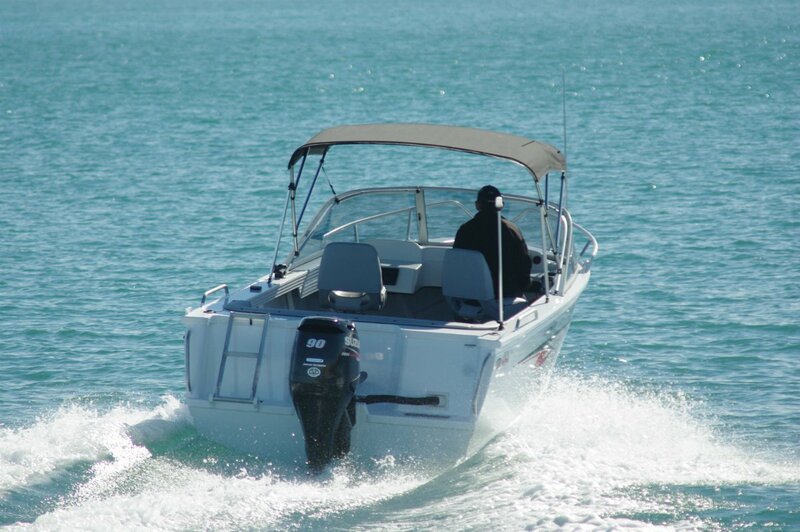 It does not need the flap for a standing driver’s head that so many boats in this size range have; the lowered deck allows standing headroom below it. The 515 serves the standing passenger well with a grab rail following the windscreen’s perimeter. Extending the full beam, the rear seat box can hold a huge amount of gear; smaller items have side pockets and a glove box. It has no shelf or pound boards, but the under foredeck space is cavernous. The review boat’s motor was a 90hp Suzuki four-stroke. Powering a 485kg boat, no one was in any doubt that it would prove adequate. In the event, with three on board, it did a lot better than that; blistering might be the word to describe the performance. Maximum power is 115hp but that would be a thrill seeker’s special, and 70 would be most people’s choice. Ride was good in the modest seas – made effectively bigger by our vigorous use of throttle – and the handling crisp and safe. From an angler’s point of view performance with the motor stopped can be just as important, and the Tattoo was well up to scratch. It was almost impervious to movement within the boat, and with our proof load of three at the rail list was commendably small. 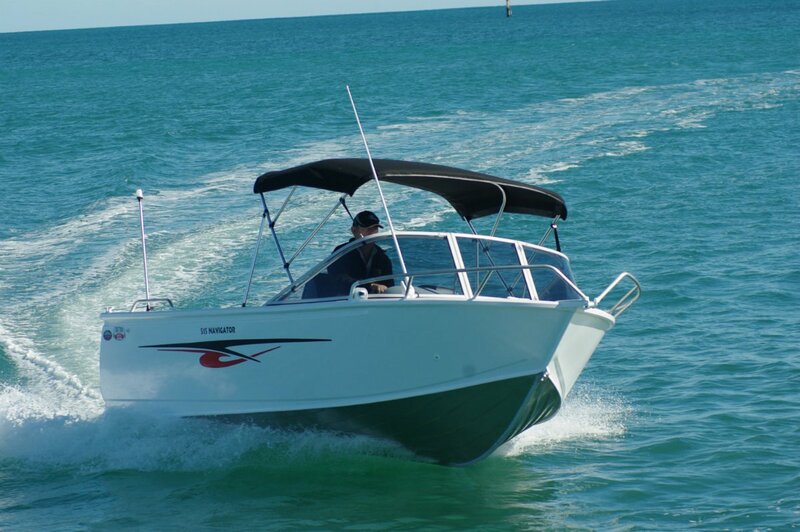 All the details are present: bow rails, grabs for the rear passengers, boarding ladder, a seven inch Garmin sounder plotter and a good price: $39,800 that would be lower still with 70hp on the back. Comparable pressed boats on the market can be up to $5,000 dearer.